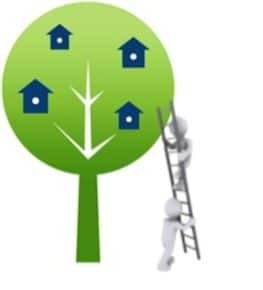 Who is your good neighbour? 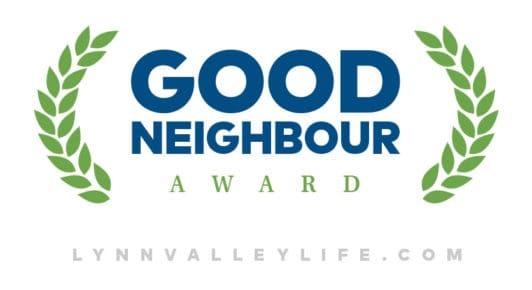 It’s one of our favorite times of year here at Lynn Valley Life: The Good Neighbor Award season. Year after year this is a highlight for all of us. Day-to-day we try to gather interesting and Innovative stories about Lynn Valley but one thing that is often missed are the quiet stories. The good that goes on in our neighborhood everyday – often unnoticed beyond the person or organization helped. We have people step up in times of need, we have those that day in and day out give of their time, money and energy. We have those that invest in our schools, our community groups, our churches. We have those that are staples on our streets who step up and help neighbours and friends whenever it’s needed. From helping refugees to outstanding coaches to people who are practically community institutions. Lizz Lindsay at Sharing Abundance. The Good Neighbour Award has been going strong since 2012. We receive heartfelt nominations – some short, some long. Check out some previous winners and read their stories – whe have an exceptional community! Last year we had Tim Green, a tireless supporter of the Lynn Valley Services Society and Molly Nye House. Dave and Wilna Parry passionate advocates for refugees and immigrants. In 2015 we were proud to recognize Cath Bates Dimmock a volunteer with Argyle Secondary for more than 10 years! We have shared the astounding work of Lizz Lindsay and her charity Sharing Abundance that brings people together through food and programs address food insecurity and social isolation. We love hearing about who makes a difference in your life and our community. Who might our Good Neighbour be for 2018? Please send us a note telling us why you think your nominee makes Lynn Valley a better place to be. It doesn’t have to be long and fancy – just from the heart! Please send your suggestions to info@LynnValleyLife.com before December 31, 2018. Lynn Valley’s Good Neighbour for will receive a plaque, a restaurant gift certificate, and some well-deserved recognition! Every year LynnValleyLife takes pleasure in recognizing a Lynn Valley resident who goes the extra mile to make our community or the wider world a better place. It might be someone whose quiet small acts provide ongoing comfort and motivation to the circle that surrounds them – their neighbours, colleagues, or friends. It might be someone whose work through a non-profit group or as an individual has tackled one of the various troubling issues our society is facing. It might be someone who has inspired youth or stood by our seniors. Last year’s Good Neighbour was Cath Bates Dimmock, a volunteer coach known as a wonderful role model for the students on the Argyle gymnastics team. We need your help to find this year’s Good Neighbour! Our 2016 Valentine’s Day Contest was the cause of passionate conversation during a LynnValleyLife meeting in January. We’d had a great response in the past to our “What Do You Love About Lynn Valley?” and “What’s Your Nickname for Your Loved One?” contests and we wanted to tap into our community heart yet again. We know that Valentine’s Day isn’t just for the dreamy-eyed, star-struck lovers amongst us. As any parent who has helped a child painstakingly craft 30 Valentine’s cards for their school chums knows, there are all sorts of friendships and affections to be celebrated on February 14. Enter our Parent-Child Valentine’s Day dinner contest! So in honour of St. Valentine’s Day on Sunday, February 14, we’re going to send a Daddy and Daughter, or a Mother and Son, to Browns Socialhouse for a sit-down dinner and some quality time together. LynnValleyLife Good Neighbour for 2015 announced! We’re delighted to announce that this year’s representative of all of Lynn Valley’s good neighbours is Cath Bates Dimmock of Hoskins Road. Cath was nominated by her daughter, Carly, for whom she is obviously a huge inspiration. Thanks, Cath, for all you do for the young ladies and lads in the Argyle gymnastics program, and thanks, Carly for letting us know about it! Your mom will receive her own Good Neighbour Award plaque and a $50 gift certificate, courtesy of the Black Bear Neighbourhood Pub! We were glad to see what became of some of those pumpkins we saw leave the Lynn Valley field “Pumpkin Patch”! Thank you to everyone who entered our neighbourhood carving contest. We couldn’t help but award the grand prize of a $25 Browns gift card to Pat Symons, football coach of the Pipers’ Junior Varsity team, for his carved pumpkin-football – and his carved pineapple-jack o’ lantern! As for the kids’ entries below, we know you’ll agree that they are all great, and we can’t award just one entry. (Click on the photos to see a larger version!) So expect a visit from our sponsoring realtors in the days ahead – they will visit with a sweet treat for all of you! Special thanks to those entries from Ms. Bonner’s class at Lynn Valley Elementary School. Do you know this year’s Good Neighbour? Every year, LynnValleyLife looks forward to putting out a call for stories about the people in our community who, in ways large or small, lend a helping hand to those around them. And every year, we draw from these angels-among-us to determine who will receive the annual LynnValleyLife Good Neighbour Award. Here’s our story about last year’s winner and nominees – and if you pop by our office, be sure to take a look at the plaque on the wall honouring all the former winners! 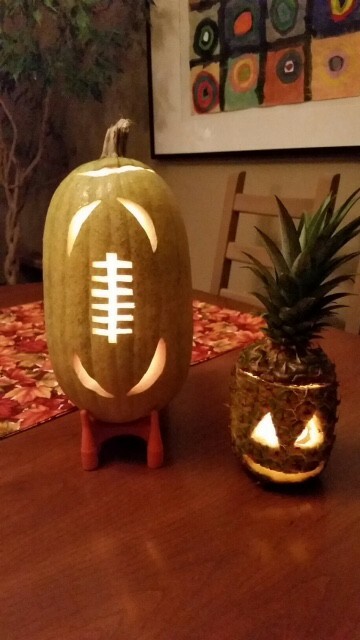 Wanted: your best jack o’ lantern photos! 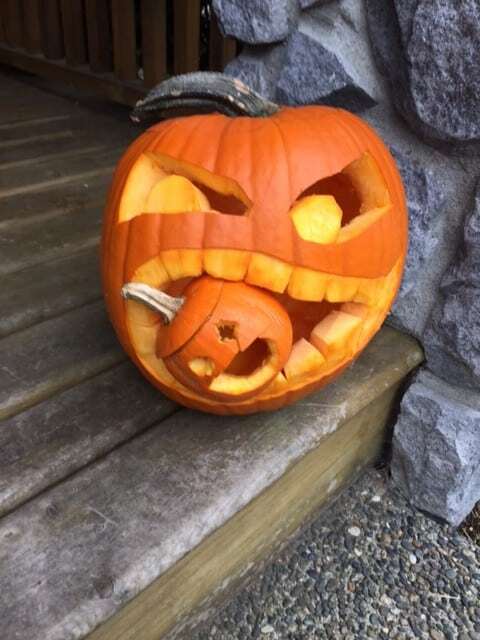 We can’t help but notice that Lynn Valley’s jack o’ lanterns are getting spookier every year! 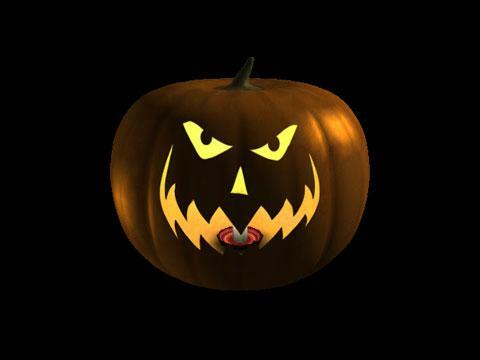 Please send a photo of your pumpkin on your Lynn Valley doorstep to info@LynnValleyLife.com by the end of Sunday, November 1, 2015, along with your name, age and contact details. Lynn Valley photo contest winners announced! Well, fall is definitely here, and along with wet weather that means the end of the LynnValleyLife Summer in the ‘Hood Photo Contest! Thank you to all for entering, and another big congratulations to Jennie Angel, who won the early-bird draw for two tickets to the Jon Bon Jovi and the Kings of Suburbia concert. We hope you had a great time, Jennie! And now we’re delighted to announce the winners of the contest, whose photos we felt best expressed Summer 2015 in Lynn Valley. Each wins a $50 gift certificate at Browns Socialhouse. In the ‘amateur’ category, many congratulations to Caroline Liggett, for her photo of how her boys bathed and cooled off in Lynn Creek during this summer’s drought!